Rare conditions present their own difficulties in terms of medicines adherence, but HCPs, pharma and patients can pool their experience to develop effective, tailored support. It is well documented that medicines waste puts an expensive burden on the UK economy, costing around £300 million per year.1 Failure to adhere to prescribed treatments contributes to the strain on the already stretched National Health Service. Though the challenges associated with medicines adherence for more common diseases have been studied at length, less has been done to understand the challenges of treatment adherence in rare diseases and how these can be overcome. 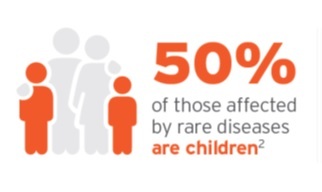 When considered as a whole population, rare diseases are not so rare, affecting around 3.5 million people in the UK – approximately half of whom are children.4 Reported rates of medicines adherence in rare diseases can vary from 58-65%, meaning there is still a considerable amount of work to be done to support people to properly manage their treatments.3 In fact, the World Health Organization has described poor treatment adherence as a ‘global epidemic’. There are many challenges associated with having, or living with, a child who has a rare disease, not least of which is helping them adhere to prescribed treatment. Often there is a lack of knowledge about a particular rare condition among healthcare professionals (HCPs), who may have limited experience of it and little literature or guidance available. On a day-to-day basis, patients often have a better grasp of their condition and therefore play a vital role as experts in their disease. They should be encouraged to share their experiences with their treating healthcare team. The patient is the expert on both the emotional and physical implications of the condition, and this must be recognised when planning interventions that will be effective. A lack of knowledge and understanding among physicians can contribute to patients’ feelings of loneliness and confusion, which often leads to a lack of adherence to prescribed treatment. When diseases are little known and poorly understood, patients can also feel stigmatised. Studies have shown that there is an increased risk of non-adherence during the transition from childhood to adolescence in patients living with rare diseases, caused by this age group’s desire to fit in with peers and not be seen as ‘different’. So they need additional support and intervention during this period to help them cope with feelings of isolation. Many rare diseases start in childhood, meaning caregivers (often parents) are in charge of administering medicines to them for many years. There is then a shift for young patients as they move into adult care and have to take charge of managing their own conditions. As they seek more autonomy and independence, some adolescents are less motivated to adhere to their treatment, potentially leading them to engage in more risk-taking behaviour. In addition to general challenges, there can be specific aspects of the disease and its management that can impact treatment adherence. In some rare conditions, for example Gaucher’s disease, patients don’t always feel unwell and may be less inclined to adhere to their treatment regime, so developing interventions to demonstrate to them the implications of not using treatment is particularly pertinent. In other instances, for example Hypophosphatasia, where the treatment regime is complex, adherence may be challenged owing to patients’ difficulty in remembering to take treatment or in integrating the treatment regime into their day-to-day life. A recent meeting at the World Orphan Drug Congress (WODC) looked at how health psychology can help support medicines adherence in rare disease. The resulting discussion included the recommendation that more pharma companies should form close links with specific rare disease communities. This helps foster the development of support networks for patients and their families, and provides links to expertise from key opinion leaders (KOLs), patients and families. In addition, these networks can help pharma companies to develop a greater understanding of patient and family needs and issues in order to develop better, and more effective, support services based around their treatment offering. For patients and carers, access to a community of peers, especially in very rare conditions, can be a lifeline for many. When pharma companies collaborate to really understand the beliefs that drive certain behaviours, personalised programmes can be put in place which can positively affect behaviour change. 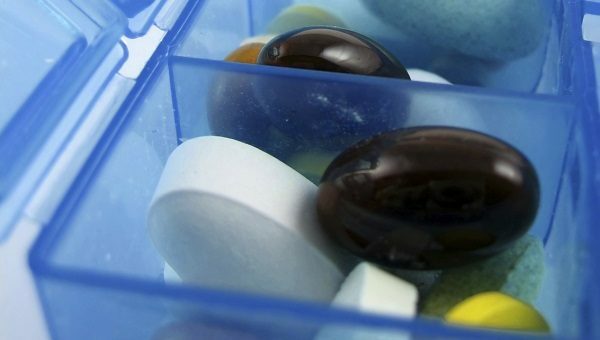 For example, a recent programme, developed on behalf of AstraZeneca, investigated the reasons for low adherence in patients with acute coronary syndrome (ACS) who were not adhering to oral antiplatelet medication (OAP), a treatment which has been shown to reduce the risk of death or non-fatal heart attack. The underlying problems in this group were examined through a literature review, alongside qualitative and quantitative research with patients and HCPs to identify common beliefs associated with non-adherence. Based on this, a screening questionnaire was developed for patients to take upon enrolment into the programme to allow a support package to be tailored and offered to each individual. This support programme included videos, a website, SMS communications, emails and print magazines, with specific content provided to each patient based on their responses to the enrolment questionnaire. 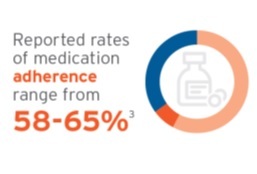 Research at the end of the programme showed an improvement in adherence; 80% of patients never forgot to take their medication as prescribed, compared to 52% of patients missing or changing the way they took their prescribed medicine in the general population of patients prescribed OAP. So, it is important to take an individualised approach to interventions that seek to improve adherence. These should take into consideration patients as experts in their condition and drivers of their own disease management. Interventions for adolescents should also include the provision of tools and guidance on transition from child to adult care. A tailored approach can have impressive results. 1 NHS England. Pharmaceutical waste reduction in the NHS. Available at: https://www.england.nhs.uk/wp-content/uploads/2015/06/pharmaceutical-waste-reduction.pdf. Accessed June 2016. 3 V Cooper, J Clatworthy. Unique patient challenges and support solutions in rare disease. Clare Moloney is a health psychology specialist with 10 years’ experience working in the healthcare sector. 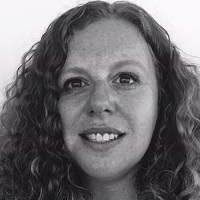 As clinical strategy director at Atlantis Healthcare, she is responsible for the development of global evidence-based programmes to promote behaviour change among individuals living with chronic conditions. This includes development of digital interventions to help patients overcome barriers to self-management, as well as programmes to help patients manage the emotional consequences of living with a chronic condition.